Royal Palm Charter School has supported and furthered the educational needs of our community for over 10 years. We enjoy a reputation for excellence, dedication, compassion, and success as demonstrated by continually high achievement on standardized tests in addition to high satisfaction scores given by our most important partners, our parents! Royal Palm was created to challenge and meet the individual needs of every student in our community. We succeed second to no one through our focus on the commitment to our future: your children. We seek to educate children using their natural curiosity to develop their ability and confidence to answer questions. We strive to develop creative thinking and problem solving skills that serve as the foundation for your child's academic career. 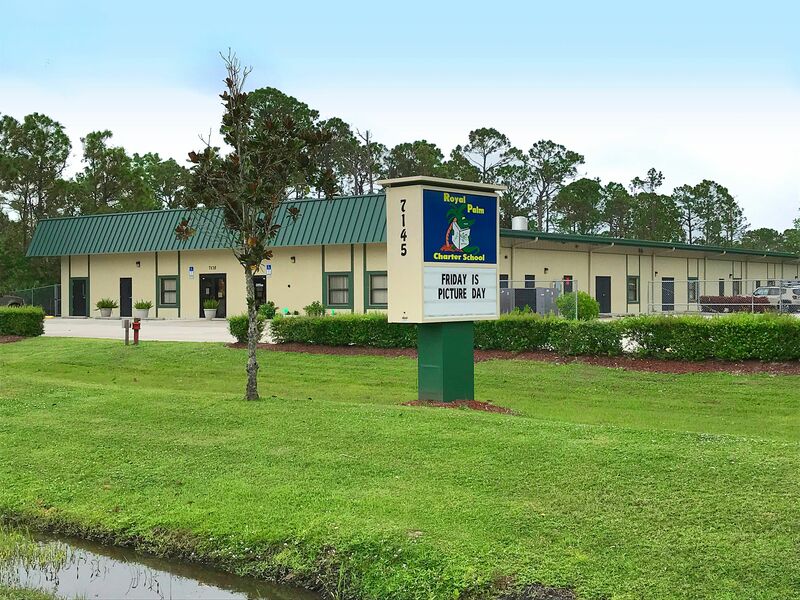 Royal Palm Charter School is located in the southeast section of Palm Bay. Classes are provided for children from VPK through Eighth Grade. The Core Knowledge Curriculum and the Accelerated Math program challenge students to maximize their potential. At Royal Palm, we believe parents are an integral part of their child's education, both at school and home.